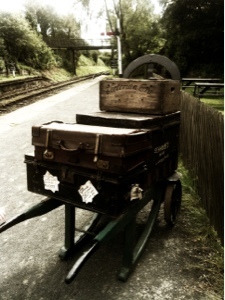 We wanted somewhere a bit different to take my mum for her 50th birthday in August 2012 and a trip on Tanfield railway and a picnic seemed to fit the bill perfectly. Trains run on various days throughout the year (check website for timetable) and your hop-on-hop-off ticket is valid throughout the whole day and you can take as many journeys as you like. We arrived in time or the first train of the morning (11:07) and bought our tickets from the charming ticket office. I loved the old posters on display and the vintage luggage sets with an old teddy bear on top added to the atmosphere. Everybody waited on the platform in anticipation of our train arriving - we actually heard it's whistle and the unmistakable sound of the wheel's on the track approaching before we saw it and when it arrived it seemed like we had stepped back in time! We were actually going to travel on a real steam train powered by coal! The kids loved travelling in our carriage, listening to the noises, waving out the window and when the went outside getting covered in soot! We were allowed to get out and stand next to the track to watch the train turn around. At lunchtime We disembarked at Causey Arch which is a wonderful tranquil spot. 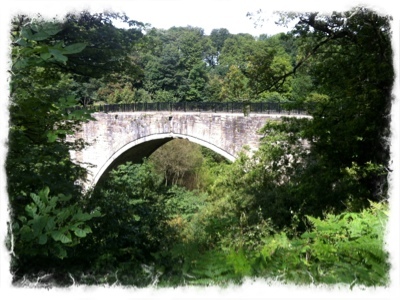 We walked along the bridge, admiring the views from below then found a lovely grassy spot in the woods to enjoy our picnic. The weather was beautiful and there was nobody else around - just us! The kids ran wild and really enjoyed the freedom. We then moved back to the platform and lit some candles on a cake and Sang happy birthday to my mum as the train arrived. The journey back to the station was very different to the nice and slow outbound trip. The train really picked up the pace and we stood right next to the engine and listened whilst the driver educated us on how the train worked. He was very friendly and answered all of the kids' questions. Back at the station there is a small cafe and souvenir shop. We enjoyed a nice cup of coffee served in the garden which was served in a tanfield railway mug - nice touch I thought. We then ended our day with a stroll around the other engine's in the shed's near the car park before heading home. 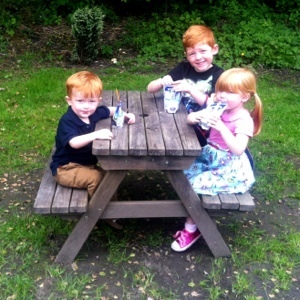 A trip on Tanfield railway is the perfect way to make a picnic special and really makes for a relaxing day. Day tickets are £9 per adult and £5 per child with under 5's travelling for free. 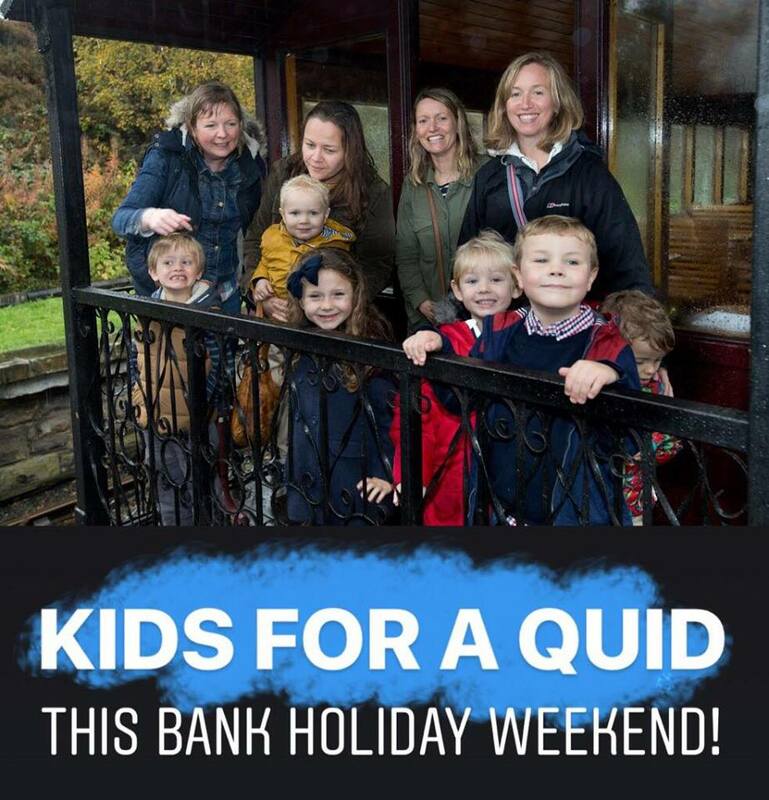 Kids travel for £1 this Bank Holiday Weekend (26-28 May 2018). 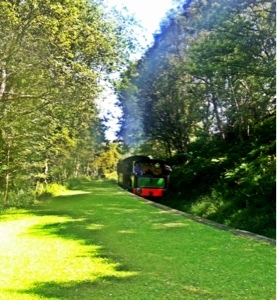 Steam train rides are available from 10:30 am. See here for more information.